Located in Goshen, The Post was created to provide a safe environment for youth that fall between the cracks of other established ministries and organizations or who are looking for a place where they can hang out and be kids. Through intentional relationships, we challenge them to allow God to reveal their identity and purpose through a relationship with Jesus. We connect these kids to caring mentors through our programs and intentionally Christ-centered activities. Emmanuel Monge, known as E-man, was born and raised in Goshen. He is currently pursuing a master’s in Biblical Counseling at Grace College. He believes that training up disciples–Godly leadership that breeds more leaders– is the best way to impact the community at The Post. He and his wife Lindsey are both members at Sugar Grove Church. Founded in 1865, The Salvation Army is an international movement with a mission to preach the gospel of Jesus Christ and to meet human needs in His name without discrimination. In addition to leading a congregation, prayer meetings and youth and senior programs weekly, they offer emergency food, utility, and prescription medication assistance and help families by coordinating services with community agencies. The Senior Program JOYs provides nourishment, education, exercise and social interaction for 50-80 seniors. In 2016, Majors Tim and Sally Sell became leaders of The Salvation Army of Goshen. Graduates of Northridge and West Noble high schools, they are glad to return to their roots. With 16 years in the Salvation Army together, they served 4 years in Bismarck, North Dakota and in several towns across Indiana. RETA (Reason Enough To Act), a faith based, pregnancy and family resource center, has served our community since 1985, funded entirely through local individuals, churches and businesses. RETA provides free services and resources for those facing an unplanned pregnancy, including support and coaching for mothers, men/fathers, couples, and grandparents. In 2016, RETA served a total of 578 unique clients throughout all programs. Founded in 1999, The Center for Healing & Hope is a faith-based organization providing affordable medical care, advocacy and support to individuals in Elkhart County. By serving poor and immigrant populations in a Christ-like manner, we aim to bring physical, mental, and spiritual healing as well as a sense of hope to our neighbors and communities. We relied on over 200 volunteer medical and administrative professionals to treat 959 patients last year. Bryan Mierau, Executive Director for The Center for Healing & Hope. has a background as pastor, nurse and healthcare administrator and carries a deep desire to see the under-served have access to healthcare services, to build bridges and cross-cultural relationships, and provide meaningful ways for our churches to extend God’s heart in our community. Founded in 1899, The Gideons International is the oldest Association of Christian business and professional men in the USA, who along with their wives, are dedicated to telling people about Jesus through associating together for service, personal testimony, and by providing Bibles and New Testaments. While recognized for their work with hotels, they also distribute Scriptures in strategic locations so they are available to those who want them or may not know they need them. On average, more than two copies of God’s Word are distributed per second and over one million Bibles and New Testaments are distributed every four days. 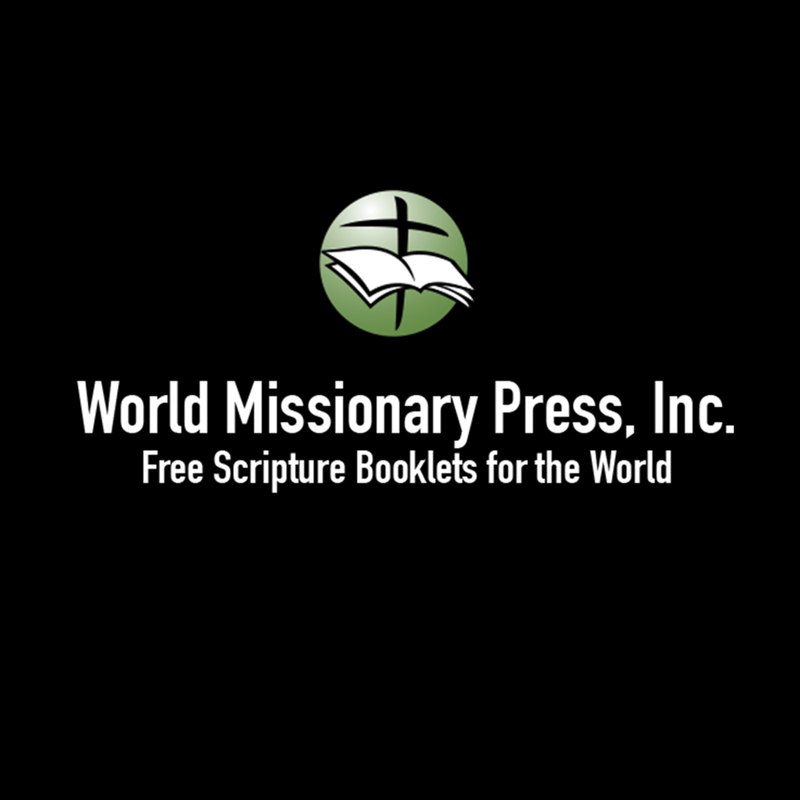 World Missionary Press produces topical Scripture booklets, Bible studies, New Testaments, and salvation coloring books for free distribution around the world. In 56 years, 2.1 billion pieces of Scripture material have been produced in 346 languages for use in more than 200 countries. In 2016, the equivalent of more than 8 million Scripture booklets were produced each month. Thanks to its reliance on hundreds of monthly volunteers, a modestly paid staff, and networking with thousands of coordinators and distributors around the world, the cost to produce and ship a 48-page Scripture booklet worldwide is still less than 5 cents. Harold and Marie Mack have been with World Missionary Press for 23 years. Marie began as Assistant to the Treasurer, and has been Treasurer for the past 11 years. Harold began as Computer Systems Manager, then Director of Global Distribution, and has served as President for the past 4 years. With the help of over 500 volunteers, 100 churches and 23 Assistant Chaplains, the Elkhart County Jail Ministry exists to spend time with those Jesus spent time with, sharing the freedom found in Christ with inmates. While they offer over 100 different programs, Bible studies and church services every month, these simply provide the context in which to build relationships. Inmates need to see the love of Christ and not just hear about it. They also work to provide help for inmates once they get out of prison. A 2000 graduate of Bethel College with a BA in Biblical Studies, Cory Martin has previously served as a congressional aide and the director of development director for The Crossing Educational Center in Elkhart. Since 2013, Cory Martin has served as the chaplain for the Elkhart County Jail. Cory and his wife Shannan live in Goshen and have 4 children, welcoming more who need a home and family. In addition to these partners, Harvest is an active participant in assisting with Goshen Community Schools, Goshen Chamber of Commerce, and the Elkhart County Fair.